My son loves to run around the house yelling “ROAR”. He also loves bath time. 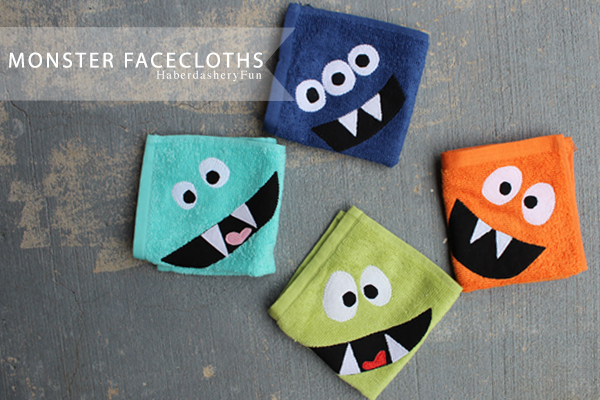 So I thought it would be fun to bring the two together and create monster inspired face cloths. 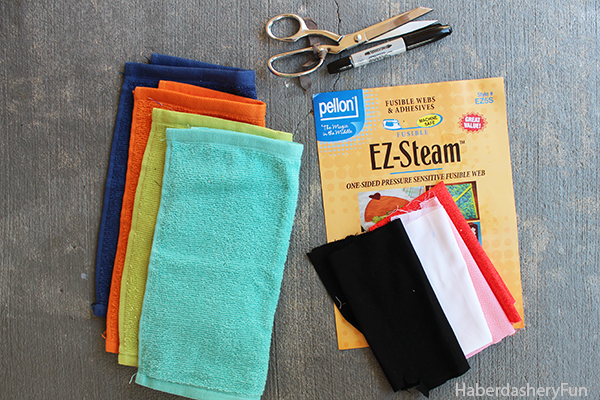 This is a super easy project that involves store bought face cloths, scrap fabric and a few sewing supplies! Fun right? A great project to get everyone involved. 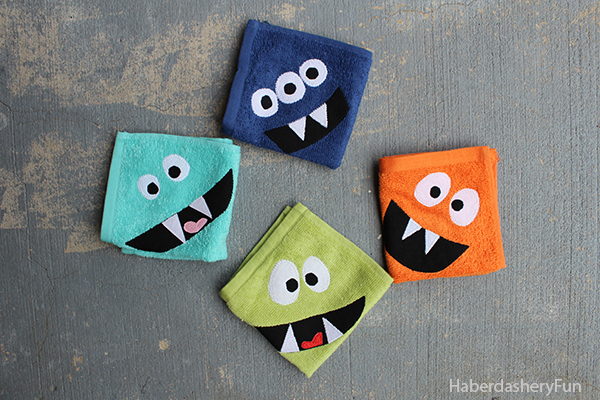 Head to the store together and pick out “monster inspired” face cloth colors..
Look around for inspiration.. Nowadays there are monsters everywhere. I’m happy to be sharing the step by step tutorial over at the the Momtastic blog. Head on over to see the full tutorial. I’d love to hear if you plan to make these for your family..
Want more monsters? 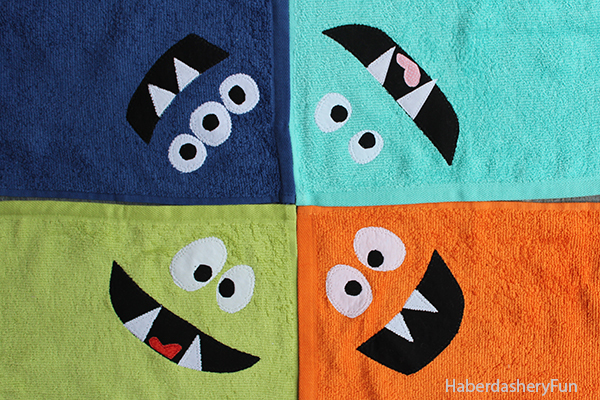 Check out my monster hooded baby towel here. My son would LOVE these! So cute, Marni! These are adorable! I have a little girl who loves monsters, too. I bet she’d even enjoy making these with me! Great for gifts, too. Followed on Twitter and I’ll pin these! That’s awesome. You could make pink monsters as well! Thanks for stopping by. Thank Emily – I really appreciate the feature. These are adorable! My kids would love them also. So Cute!! These would be a great baby shower gifts too! We would love for you to come and link up with us at Your Designs This Time, Mondays 8:00am EST. 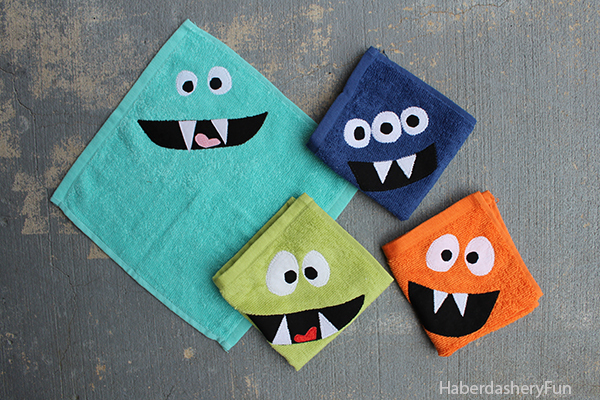 Love love love this idea got my little one new wash clots and so making him these. Thanks for the great inspiration! So cute! thanks for linking up to the Block Party! These are adorable:) I want to make a few for my boys!! I am featuring these this week on Do Tell Tuesday!